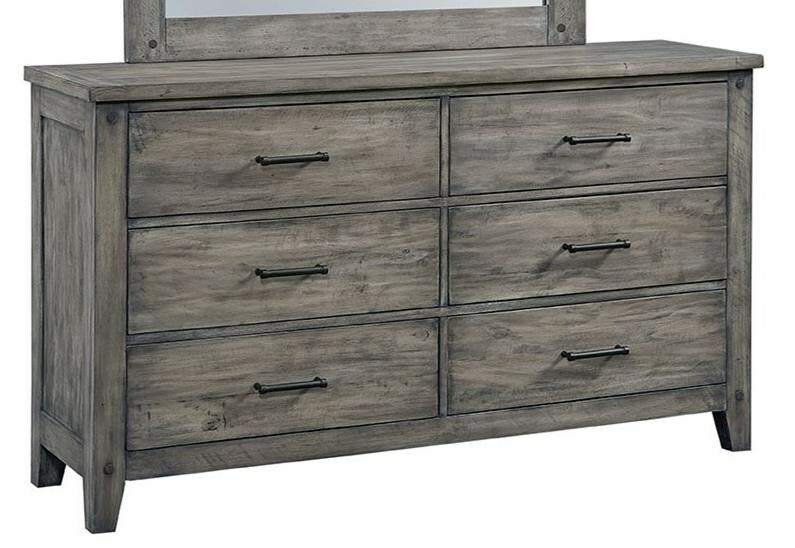 Add this dresser to your child's bedroom for a natural rustic look. This dresser has rustic charm with pine plank construction, while clean lines and smooth surfaces give it contemporary flair. The six drawers are durably constructed with French dovetails and metal drawer glides. The top two drawers are lined with felt to help protect valuables. The Nelson 6-Drawer Youth Dresser with Felt-Lined Top Drawers by Standard Furniture at Miskelly Furniture in the Jackson, Pearl, Madison, Ridgeland, Flowood Mississippi area. Product availability may vary. Contact us for the most current availability on this product.